It was a cold night, but the Roughnecks were hot. The Riggers improved to 4-4 on the season after an 8-5 victory over the Vancouver Warriors at the Scotiabank Saddledome Saturday night. 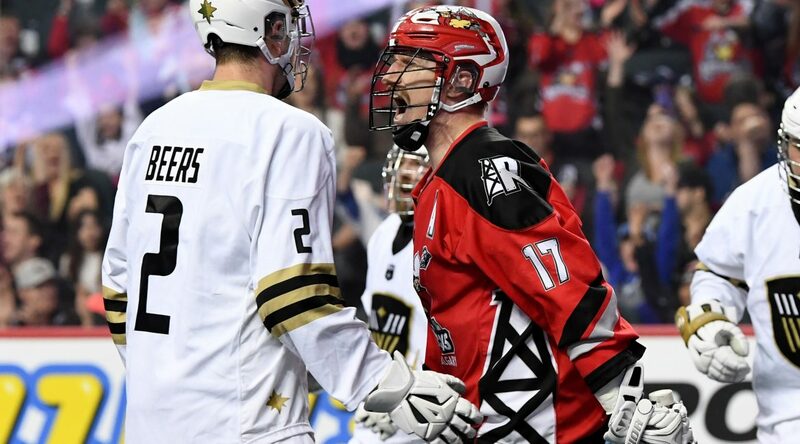 The Warriors came out strong in the first with three straight goals, but the Riggers’ defence stepped up and held Vancouver without a score in the second and third quarters. That effort, paired with a more cohesive offensive attack, secured the Roughnecks’ first victory in three games. ON SUPERMAN SOARING, NETTING A HAT-TRICK ON THE NIGHT.